Xiaomi Mi 4c Specs Teased! To Feature Snapdragon 808 And USB Type C Connector! Home / mobile / news / xiaomi / xiaomi mi 4c specs / Xiaomi Mi 4c Specs Teased! To Feature Snapdragon 808 And USB Type C Connector! Lin Bin, the co-founder of Xiaomi recently teased several key specs of the Mi 4C that excites a lot of Mi fans around the globe. The Mi 4C is set to be powered by the 64 bit Snapdragon 808 SoC, Adreno 418 GPU, dual LTE SIM slots and the effective USB Type C Port. 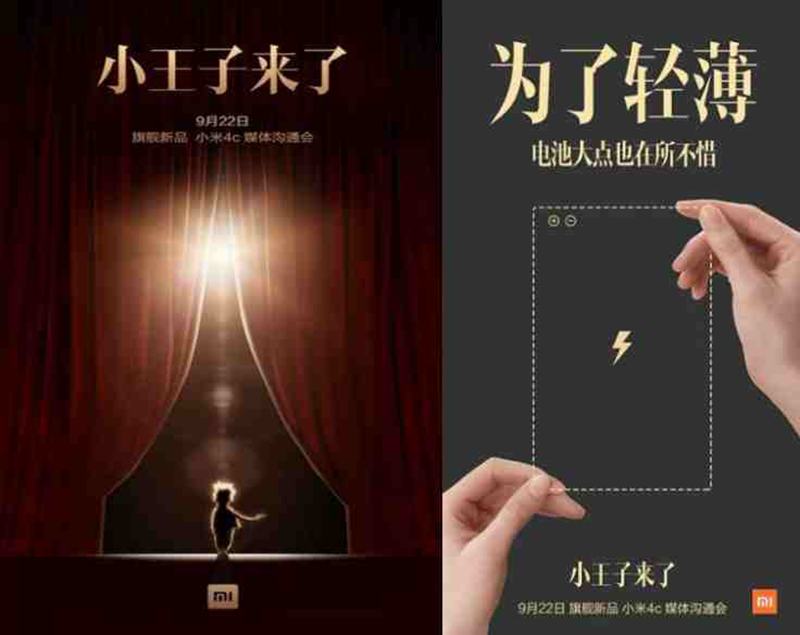 The said new Mi device will also have the ability to perform a reverse operation by double tapping on an active screen that will put the smartphone in standby mode. Lastly according to rumors the Mi 4C will come with 3 GB of RAM, either 16 or 32 GB of internal storage which could be expandable, 13 MP rear camera, 5 MP selfie camera and will be driven with Android 5.1.1 Lollipop with MIUI 7 on top. The rest of the leaked details: Click Here! Let's all find out the rest of the details like the availability and price on their launch this September 22, 2015. We'll keep you guys posted!